Two wins down, two more to go for the No. 2 UNC women’s tennis team. 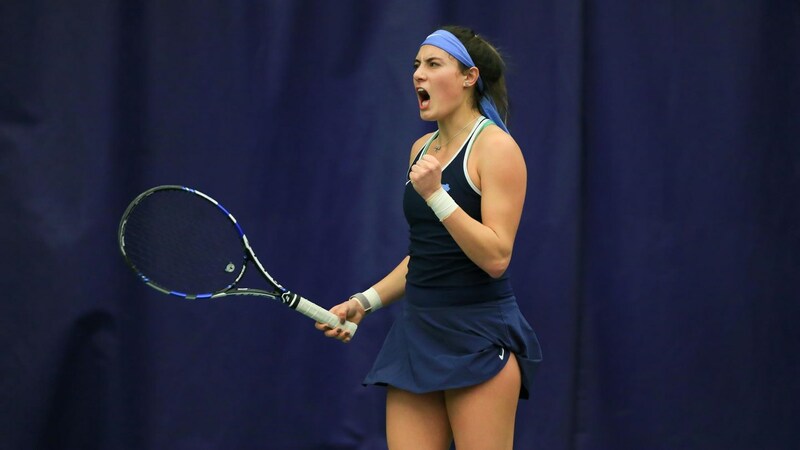 The Tar Heels picked up a 4-1 victory over the UCLA Bruins on Sunday to advance to the semifinals of the ITA National Indoor Tournament in Seattle–as they look to defend last year’s national championship in the event. After taking the doubles point to start the match, UNC (8-0) then was able to close it out with singles victories from Jessie Aney (6-2, 6-0), Sara Daavettila (6-4, 6-3) and Alexa Graham (6-4, 6-3). UCLA’s only point came from a 7-5, 7-5 singles win by Alaina Miller over UNC’s Alle Sanford. A rivalry showdown against No. 3 Duke awaits the Tar Heels on Monday in the semifinals. That match is scheduled to begin at 4 p.m.